There are many diverse plants in the rainforest. Plants give us heat, food, oxygen to breathe. One tree that is found in the rainforest is the Cocoa Tree. They need to live in very humid climates that receive a lot of rain and have to live below an altitude of 1,000 feet in order to survive. It grows to be 15 to 25 feet tall. The tree grows flowers and fruit on its trunk. It is the most endangered tropical plant in the world. 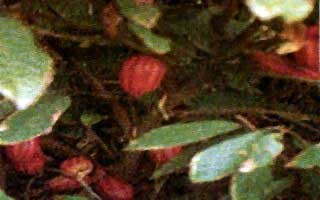 It is found only in Malaysia and Indonesia in the lowland tropical forests. The Rafflesia Arnoldii flower is a parasite and shares a parasitic relationship with another organism or species. Here is one example of a parasitic relationship. feeds off of a tree vine that is similar to the grape vine. It is a small rainforest tree and another endangered plant. It was recently found near Nambour in 1989 after it was thought to be extinct. Unfortunately, there are not even handful of these trees left. The last time it was collected was in the 1800s and quite a lot of information is unknown except for the fact that the flowers on this plant were pale liliac. This plant is extinct. Its habitat is unknown, but probably moist forests.